Video sliders are one of the easiest tools to add smooth dynamic camera movements. One of the problems you might face though is when you have to mount it over a single tripod . The weight of the camera when traveling from end to end can cause the slider to sag. In this case we often use two tripods, or one tripod and a light stand . 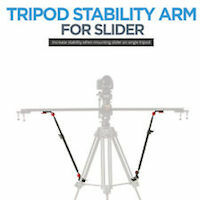 Konova's latest Tripod Stability Arm product tackles this problem. 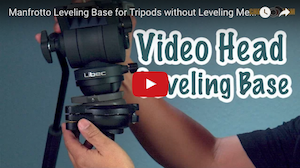 The telescoping arm clamps to one leg of your tripod and with a tie rod end can be positioned to support a slider perfectly horizontally, or even at various angles. 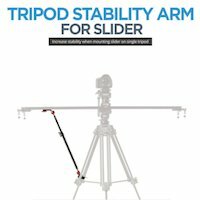 Konova is heavily promoting the fact that the Tripod Stability Arm is not just designed for Konova Sliders. The flat base and 1/4" thread allows this system to be used with just about any tripod and any slider (so long as you have a 1/4 or 3/8 tap). You can opt for one piece or a two piece kit if you're working with very long sliders, and this means you only need to travel with one tripod. Available now on the Konova website or following the links below. Posted in dslr video. 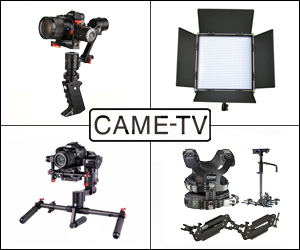 Tags: konova, Konova Tripod Stability Arm for Video Sliders, Slider tripod, stability arm, tripod arm on May 6, 2015 by Emm. The length of Our stability arm is around 60cm(23.6 inch) after telescoping out. Does anyone know the length that the Kenova stability arm telescopes out to? I have an iFootage Shark Slider and mounting is only possible at either end of the slider. In the short configuration there won't be a problem, but when extended it will be about 36 inches between both attachment points on the extended end. Of course, I can still attach it to the short end, but flexing will still occur. Another thing, I tried to make sure on end of the slider is over a tripod leg when I add the arm. I bought one after getting fed up with two tripods. I have the Syrp Magic Carpet slider, which is 2.5 feet, and c100. At first i thought it was a waste of money. No matter what angle or how much I had tightened the thing, I couldn't get rid of the dips. What I did was put the cam on one of the ends and adjust the arm that way. That seemed to work the best for me, but there is still a slight dip but the level bubble is still within range of the center. Art Sanchez, I have not seen a tripod leg the lower clamp cannot fit. I think the clamp opens to about 1-1/2" but not exactly sure as the arms are at work currently. But they fit my Manfrotto carbon fiber tripod and our Sachtler tripods without issue. It does dip in the last shot but it is still an interesting product. It doesn't look like it was adjusted to the appropriate height. Kind of just attached. In the past I have used one tripod and one light stand to hold up the slider.. Which is FINE if it never moves... ever. But moving that thing around is a pain. This seems like a much easier approach. 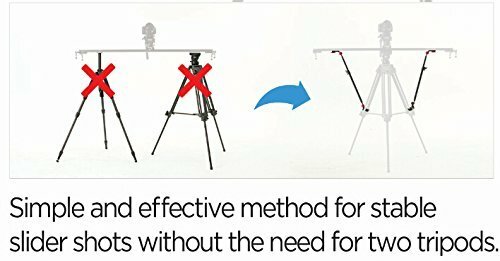 Do you think that it works with thicker photo tripod legs? If you remove the head and put the slider directly on the tripod it doesn't sag as much, unless it's a really long slider. I have a Konova K5-80cm. We also have a 1000cm Kessler Cineslider. I bought two of these stabilizers and they work exactly right. 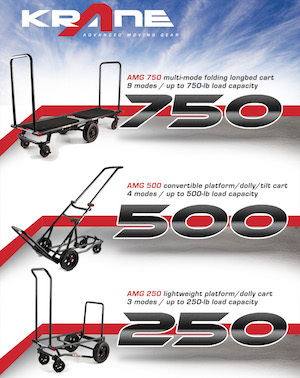 They attach easily and securely and are really well engineered. They have rubberized ball joints at both ends. This allows you to tilt the tripod head a bit if necessary but have no play in them. Flexible but solid. Good engineering. They cost $85 each. Yes, you could rig these from spare parts, but by the time you buy the parts and spend the hours fooling around, believe me, you'll have spent the $85. I found that a single stabilizer works well on both the K5-80 and the Cineslider. Two might be necessary for sliders longer than one meter in my opinion. I've been doing the same basic thing for years, but using a manfrotto magic arm instead. 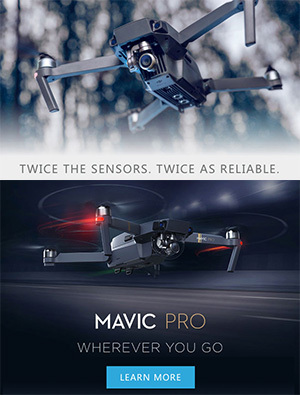 The last shot of the video shows that the slider still dips even with the stabilizer in place; if they can't make it work properly in their own promotional video, what hope is there that it will function as promised? Well, I've seen telescopic arms, the ones you use to support reflectors in the $20-25 range, and the small magic arms are around $8-9. 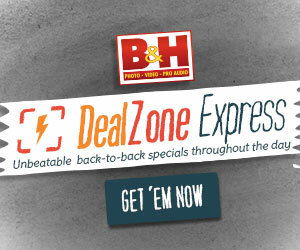 So, I'm guessing you can probably rig something up with off-the-shelf parts for less than $50. I know YOU could do it for sure, but maybe even I could figure it out. Now multiply this by two, for each tripod, and maybe again by two or three cameras for a multi-camera shoot (I do weddings) and you're talking some significant change pretty soon. I'm looking around Ebay to see what parts are available. If I can come up with a workable solution, I'll share. Loe this. I have had a Konova slider for about 5 years and it has been solid. I also run it on one tripod for easy transportation. The one weakness was the dropping at either ends when using things like a 5D or c100 but now for $90 everything is solved. I'm good with that because I save time and ultimately money cause I will get my shots faster. @Apsotolos - It's a bit up there, but a nano clamp will run about 15 dollars, and a small ball head another 15 dollars. Not sure what the telescoping rod would cost, but at the end of the day you have to ask if it would have been worth spending an extra $20 for an off the shelf finished product like this. @Archie - Some people are bold enough to go with 4 foot sliders, and it's also dependent on the weight you throw on a slider. A small GH4 won't have issues as much as sliding a blackmagic cinema camera. For what length (and above) would one need 2 of these? Interesting product, but kind of pricey at $90. You can get a second tripod for that easily, let alone a couple of stands. But I'm guessing the attraction is the fact that you don't have to deal with a second tripod. 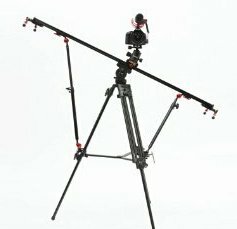 However, since this is basically a telescopic arm that rests again the tripod joints, with what seem like standard connectors (clamp, 1/4"-20) I'm wondering if there is a way to get one of those telescopic arms that you use for the support of reflectors and rig them with off-the-shelf parts to do the same job.